A small group of users have begun noticing a new voice control feature appearing with the spotify app for iOS devices. The voice control allows users to call up their favourite artists, songs, albums and playlists without having to navigate around the app with taps. Voice control initiated by first navigating to the magnifying glass icon at the centre of the apps bottom tab row. There is a magnifying glass icon that is on the bottom tab of the app, and this is where you will go to the voice control. In this user can tap a microphone icon inside a white bubbles and then spotify will begin listening for their voices. 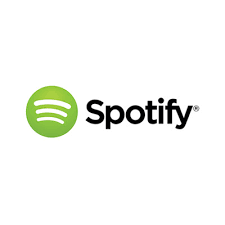 Right now the commands will be available in English, but once a command is asked spotify will begin playing the content within the app. Spotify to play something before the app found what you were looking for and began to play it. The quickness of the spotify command could be comparable to siri when you are using siri on devices like the HomePod. The commands were quickly translated into the app and music you want was quickly brought up for you. This is a good thing because sometimes voice commands can take a while to figure out or initiate, but not with this. With the voice control feature you will get most accurate results, although some errors are definitely present. This is still in the testing phase on iOS, so we can expect few bugs and errors to occur. You can use voice commands that are from within the Spotify Catalog. It means you cannot ask about who a band is and if you try you will just end up getting their music to listen to. AirPlay 2 removed from iOS and tvOS 11.3, suggests HomePod multi room and stereo won’t arrive next month. An engineering graduate, Anish turned to writing after a couple of years of experience in core technology field. At The iBulletin, Anish covers latest updates related to trending apps & games on the app store. Fortnite For iOS generated over $1M of in-app purchases during first 3 days on the app store.